TRFC Annual Golf Classic takes place at Thurles Golf Club on 9th of June 2018. 4 Ball at Mount Juliet Golf Resort plus Dinner for 4 in Hunters Yard Restaurant. 2 tickets for the amazing Riverdance at the INEC in Killarney plus 2 tickets for Legally Blonde at the INEC , and many more great prizes. 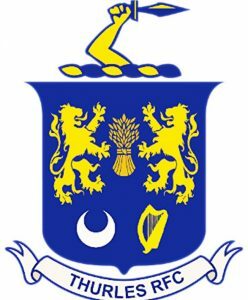 Thurles Rugby Club would like to thank all our sponsors for their continued support.